Ecuadorian Army troops receive the Sikorsky-PZL M28 aircraft. Credit: PRNewswire / Sikorsky Aircraft Corporation. 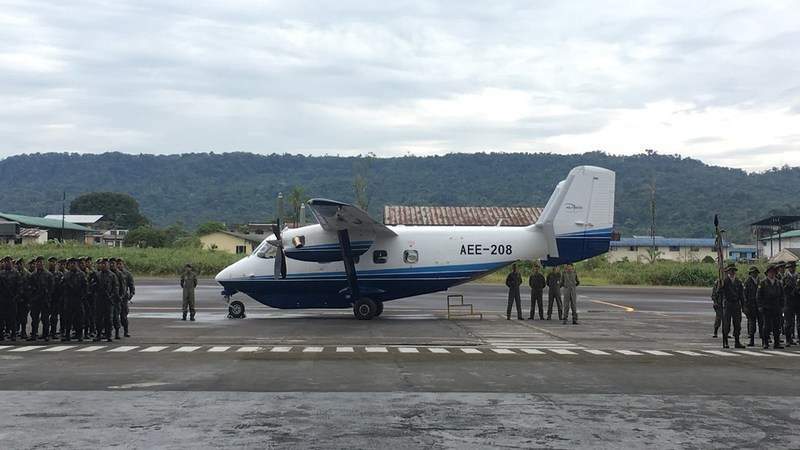 Lockheed Martin company Sikorsky has delivered a new M28 short take-off and landing (STOL) aircraft to the Ecuadorian Army. Built at Sikorsky-owned Polish aerospace manufacturing facility PZL Mielec, the twin-engine turboprop aircraft arrived in Ecuador completing a 13,500km trans-Atlantic flight from Poland. The aircraft has been delivered within five months after receiving the contract award in April this year. It will provide the Ecuadorian Army with a multi-role transport capability that can carry out operations in varied climates and terrain. Under the deal, PZL Mielec was responsible for providing training to the army pilots and mechanics. The M28 STOL aircraft has the capability to operate from runways or airstrips, which are otherwise inaccessible by other jets, and can fly in extreme environmental conditions and temperatures ranging from 50°C to -50°C. Weighing 16,500lb, the aircraft can accommodate 19 passenger seats or carry up to 2,300kg of cargo, in addition to conducting parachute missions via the rear cabin door. More than 100 M28 STOL jets are currently used in both commercial and military configurations across the world. In addition to other missions, the aircraft has the ability to transport passengers, carry out parachutist training, and perform border patrol and supervision over fisheries. The Polish Air Force uses the M28 Bryza aircraft variant to conduct both maritime and transport operations.